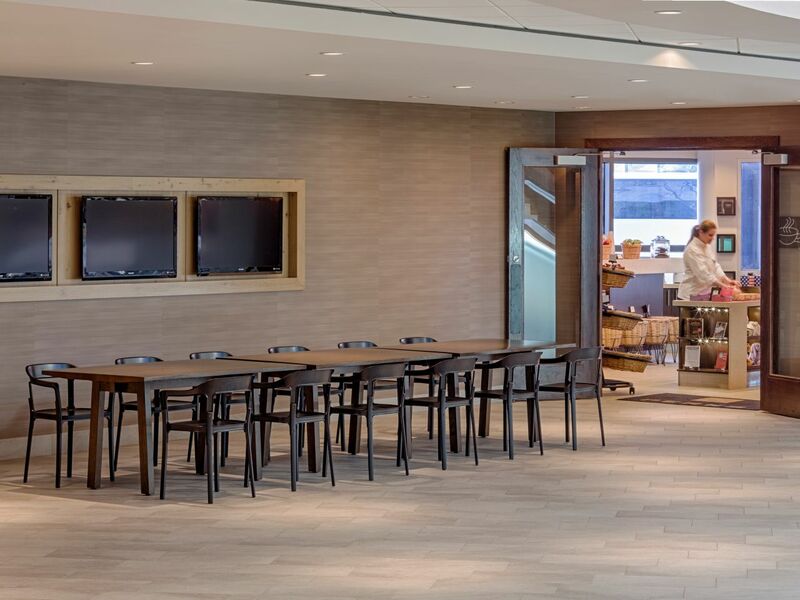 Discover a vibrant food and drink scene in our innovative restaurants at Denver Tech Center. A fusion of bistro and pub, Root25 serves regional beer and seasonal cuisine using fresh ingredients from local Colorado purveyors. Start your day with your favorite Starbucks® coffee drink at Perks or grab a fresh sandwich on the way to your next meeting. If you’re looking to stay in, order room service from our extensive in-room dining menu and dine in the privacy of your room or suite. 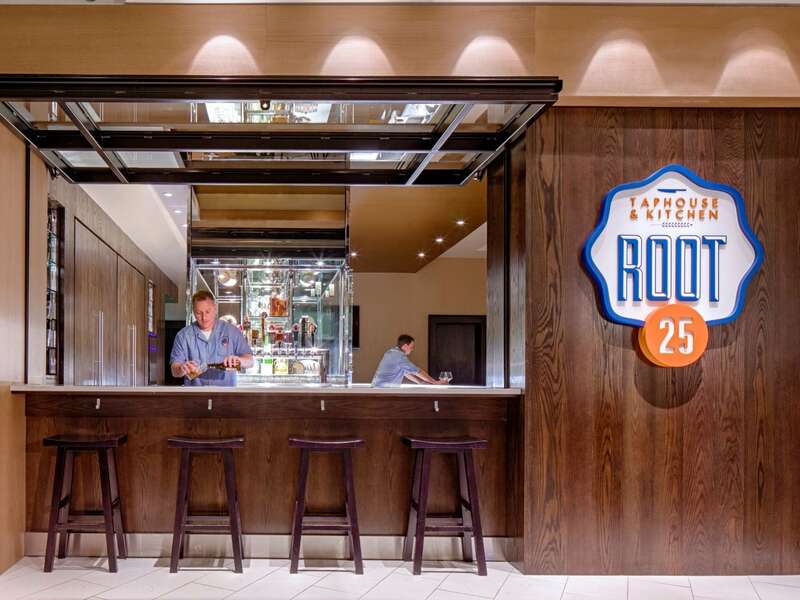 Root25 is a nod to the historic recipes that pubs, bistros, and watering holes have offered for hundreds of years while demonstrating locality, seasonality, and playful modern approaches. Colorado is often referred to as the Napa of craft beer, and in our new venue, it is all about the beer. Root25 offers a rotating selection of the finest craft beers and ales from the region along with craft cocktails honoring the classic speakeasies. The space is a perfect complement of modern and rustic, offering a warm and inviting atmosphere where one or even a crowd may unwind and toast the day. When you don't have time for a sit-down breakfast or lunch in Denver, stop by Perks for good food on the go. Warm yourself with your favorite Starbucks beverage and a freshly baked muffin or breakfast sandwich to take along on your way to client meetings. Enjoy a fresh sandwich and a refreshing drink while checking your email with our lobby Wi-Fi service. Perks doesn't stop at breakfast. We stock a wide variety of snack and meal items, including chef-prepared sandwiches, salads, pizza, and soup. 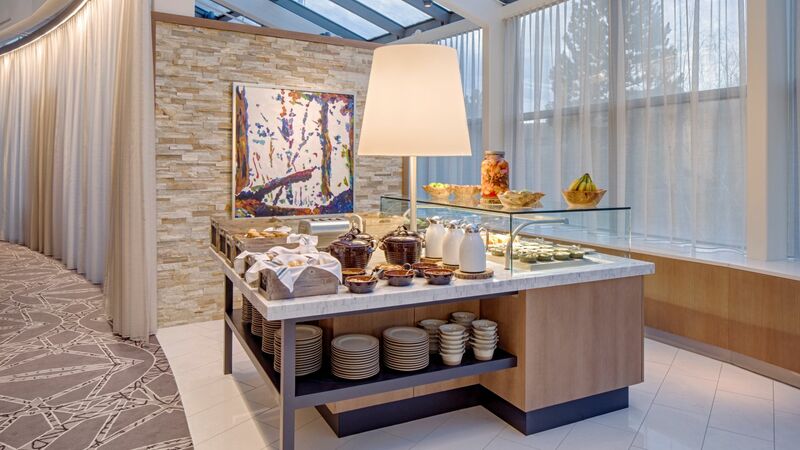 Monday – Friday: 5:30 a.m. – 6:00 p.m.
Saturday and Sunday: 6:00 a.m. – 6:00 p.m.
Dine in the comfort of your spacious hotel room when you choose from the extensive in-room dining menu at Hyatt Regency Denver Tech Center. Whether you prefer a continental breakfast, or a romantic dinner, our professional in-room dining team is at your service.